ARTBA’s 2015 National Convention is just five weeks away. Register now! 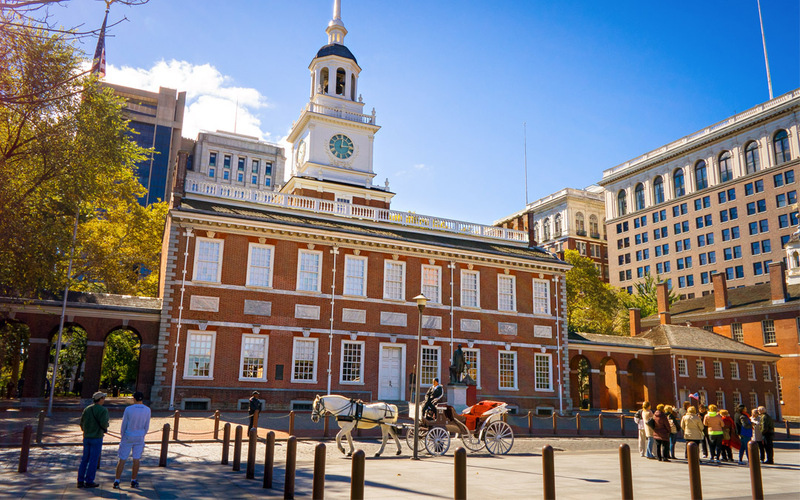 This year’s annual meeting is Sept. 29-Oct. 1 in Philadelphia, the city where our Founding Fathers enshrined road building as part of the U.S. Constitution! We will gather at the Hilton Penn’s Landing, not far from the Liberty Bell and Independence Hall. In addition to council, division and committee meetings, ARTBA’s senior staff will brief attendees on the latest legislative developments in Washington, D.C., where the House of Representatives is scheduled to debate a multi-year surface transportation bill this September in response to the six-year plan approved July 30 by the Senate. ARTBA Chief Economist Dr. Alison Premo Black also will provide a market conditions report and a sneak peek at her 2016 forecast. The program includes a special 30th Anniversary luncheon of ARTBA’s Transportation Development Foundation, where will induct the 2014 and 2015 Transportation Development Hall of Fame classes and celebrate other key Foundation milestones. CNN host and Sirius XM radio personality Michael Smerconish, the author of several “New York Times” best-selling books, will be the featured speaker at the event. He has spoken out about the need to address the nation’s infrastructure needs and is also sure to talk about the 2016 presidential race. The convention was originally scheduled for Sept. 27-29, but the dates were pushed back due to Pope Francis’ Sept. 25-27 visit to Philly. Extraordinary security measures by the U.S. Secret Service and city officials, announced just last week, would have made it virtually impossible to reach the Hilton on Sept. 27. The disruption is expected to last into Sept. 28. If you have questions about the convention, please contact ARTBA’s Vice President of Meetings Ed Tarrant, or 202-289-4434.